Introduce kids to the planets and solar system in this fractured fairy tale retelling of the classic The Three Little Pigs. Parents and children alike will adore this out-of-this-world story, which is set in outer space! GREEP BOINK MEEP! 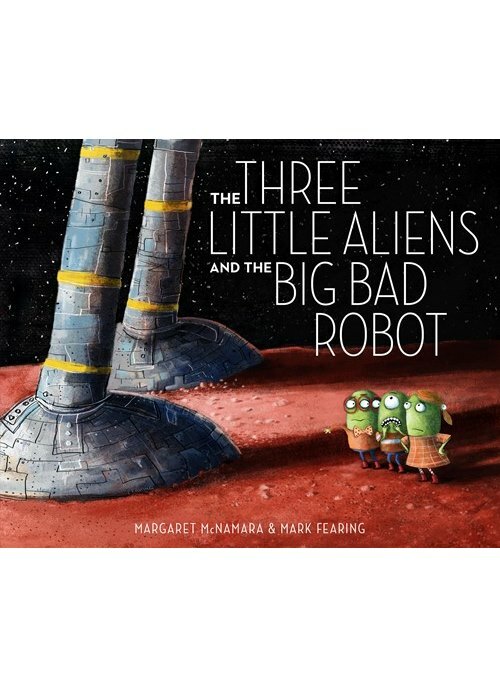 The three little aliens are happily settling into their new homes when the Big Bad Robot flies in to crack and smack and whack their houses down! A chase across the solar system follows in this humorous and visually stunning book from Margaret McNamara (How Many Seeds in a Pumpkin?) and Mark Fearing (The Book that Eats People). The endpapers even include a labeled diagram of all the planets. From the Hardcover edition.